« Did you know? May is National Mental Health Awareness Month! When most people think of a food pantry they envision shelves of non-perishable items: canned fruits, vegetables, beans and boxed pasta and cereal. 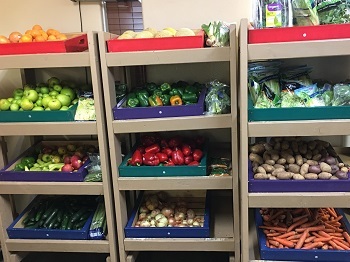 While Tri-Lakes Cares does have a pantry that houses those things, we also have a food program called Help Yourself that may surprise some people in what we offer. He lp Yourself is a perishable food pantry, which is run on donations through community retail partners as part of their food rescue efforts and is a no-cost program for Tri-Lakes Cares to offer. 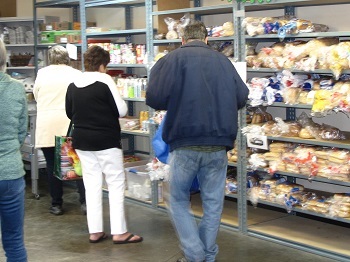 Help Yourself contains fresh fruit and vegetables, dairy, meat and bakery products and is set up to look like a grocery store. 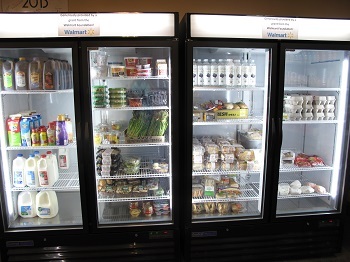 Glass door refrigerators display milk, eggs, yogurt as well as cut and packaged fruit and vegetables. Our produce bins hold potatoes, onions, peppers, bananas, apples and oranges, to name a few. Help Yourself allows clients to shop for themselves, as anyone would at a grocery store. They can examine the fruit, and pick the best one; they can check the dates on the yogurt to confirm they can eat it before it’s inedible. In September of last year, our clients took a survey and at that time the most common request was that they would like to see more produce, dairy and meat. We are continually working to procure these items for our clients. We have come a long way from September, and will continue to move forward. This month, Next Step Ministry will be constructing a garden wall on the south side of our building. This garden will grow herbs and vegetables for client use. We are constantly striving to become self-sustainable, just as we ask our clients to be while using our programs. You can help with the garden wall project. 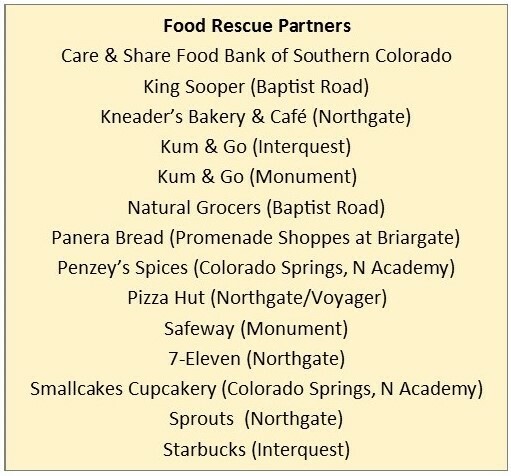 Please contact Kelly Bryant, Volunteer Manager at (719) 481-4864, ext 117 or volunteermanager@tri-lakescares.org. Thank you very much to Fellowship of The Second Mile and Walmart Foundation for helping to purchase the glass front refrigerators. You have helped increase our capacity to serve our clients more and better. Thank you. Fabulous things are evolving at TLC. You all do such amazing work. This community is fortunate to have so many generous individuals, churches, companies, schools, scouts and fundraising organizations who compassionately provide support and encouragement to their neighbors. Working together is having an enormous impact. Win-Win!